A mariachi costume is the typical suit used by mariachi bands which is the traditional street music ensemble in Mexican culture. They were originated in the Western region of Mexico (In the state of Jalisco where they are very popular today), and because of their music and clothing, mariachis are famous all around the world. Mariachis and everything they represent are today a proud symbol of Mexico. Before the arrival of the Spanish to Mexico, people used to play with any kind of instrument like rattles, drums, horns or conch-shell for instance. However when Christianity spread, Indians and mestizos took a lot from the Spanish influence and started to use new instruments, originating then a new style of music. 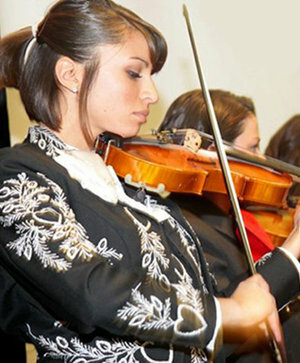 A modern mariachi group includes different types of instruments like violins, trumpets, a harp, guitars and a bass guitar. The Mariachis originally were roving laborers who sang and played instruments for extra money. They usually play at traditional Mexican celebrations such as weddings, quinceañeras party (sweet sixteens party) or serenades. Today there are also Mariachi women who love the tradition and music. 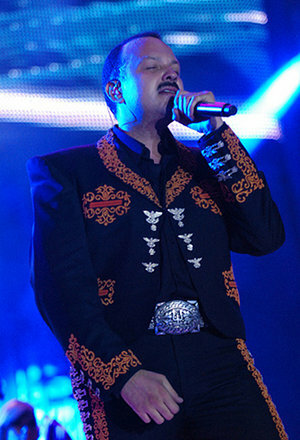 At first mariachi clothing was made of cotton and also wool, and they use to wear a hat made of straw or palm. Then in the early twenties as they became members of an orchestra, they began to appear in a Charro suit. Charro is the name given to Mexican cowboys. A mariachi costume is all about style, the elegance of the suit and the decoration with embroidery made sometimes with silver or gold threads. 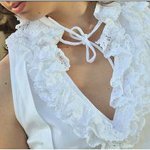 Sometimes it also includes silver or gold ornamental buttons and instead of a bolero tie, a man might wear a large red bow on his chest. With their wide hats and decorative costumes, mariachis have been a part of Mexican musical culture since long ago. Nowadays, current mariachi bands have variations in the color of their costumes. They normally wear white or black suits. Black is used for ceremonies such as weddings or funerals, and white for beach parties or day events. Mariachi music and their costumes is one of the most popular traditions in Mexico, because it represents the folklore of Mexican people.